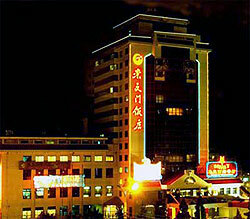 Chongwen has some of Beijing’s oldest stores in the Qian Men shopping area. You can also scout for bargains and knick knacks at the Hong Qiao Market. The magnificent and colourful Altar of Heaven, otherwise known as the Temple of Heaven, is in the Chongwen District. Craving for truly authentic cuisine Stop by Bianyifang and Quanjude, two original Peking duck restaurants that serve the crispiest and most luscious Peking ducks in town.